Knopf Books for Young Readers, 9780375861017, 32pp. This simple, young, and satisfying story follows a Chinese American family as they celebrate the Mid-Autumn Moon Festival. Each member of the family lends a hand as they prepare a moonlit picnic with mooncakes, pomelos, cups of tea, and colorful lanterns. And everyone sends thanks and a secret wish up to the moon. Grace Lin’s luminous and gloriously patterned artwork is perfect for this holiday tale. Her story is simple—tailor-made for reading aloud to young children. And she includes an informative author’s note with further details on the customs and traditions of the Moon Festival for parents and teachers. 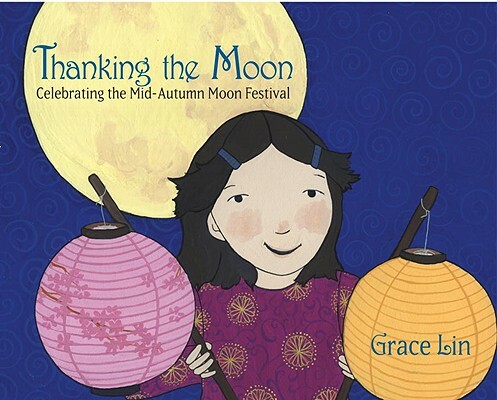 The Moon Festival is one of the most important holidays of the year along with the Lunar New Year, so this book makes an excellent companion to Grace Lin’s Bringing In the New Year, which features the same family.